Boiler fault call outs are on the rise, the cold weather is really setting in and causing lots of boiler problems. A common fault in very cold weather is a frozen condense pipe. Since 2005 the government brought in a new regulation that only condensing boilers can be installed. 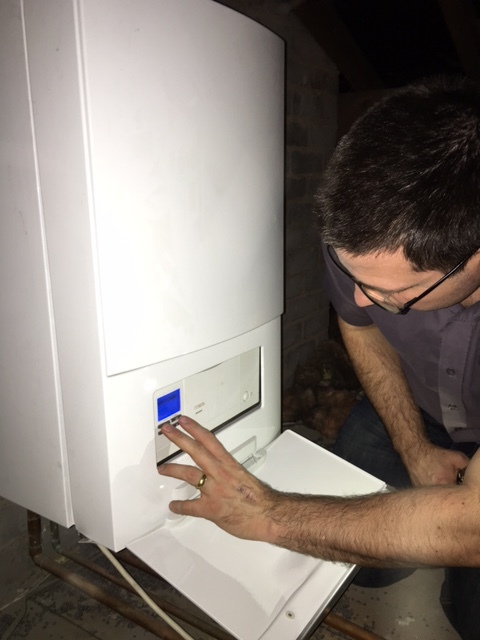 The way that condensing boilers work is by returning water at a cool temperature, the cool water meets with the hot exhaust flue in the heat exchanger and this is the heat that causes condensation to form, when the temperature drops, the condensation is taken away and can freeze, this is where problems can occur. You can try to gently unfreeze the condense pipe with something like a hot water bottle, heat pads or a warm jug of water (not boiling). Once it is unfrozen hold down the reset button on the boiler and it should start to work again. (Please only attempt to do this if your pipe is easily accessible at ground level, under no circumstances should you attempt to thaw a condense pipe which is at height, without the assistance of a professionally trained engineer). Now is the time to start thinking about measures to prevent this from happening as a frozen condensate can back up into the boiler creating a very expensive repair bill. 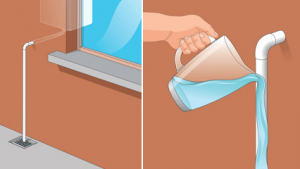 Replace the pipe with a larger diameter which is less likely to freeze, or even routed inside the house or a more sheltered spot then insulate. For help and assistance with boiler faults please call us on 01204 396669.